Large water cars such as this one are used for fighting fires along the Durango & Silverton Narrow Gauge Railroad tracks. D&SNG Owner Al Harper says the railroad will re-evaluate its firefighting measures in light of the 416 Fire. While no official cause of the fire has been determined, Harper said extreme drought conditions pose new risks along the 45-mile route. 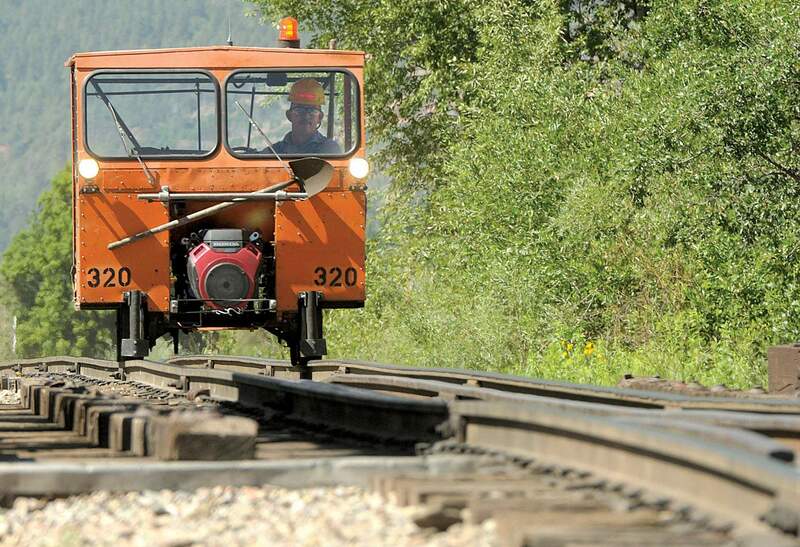 Not since the Missionary Ridge Fire in 2002 has the Durango & Silverton Narrow Gauge Railroad been out of service for so long over the summer months. The raging wildfire 16 years ago – which lingers in the collective consciousness of longtime residents as the most haunting natural disaster in recent memory – closed the train’s historic route from Durango to Silverton for 40 days. “As we’re going through now, there was a lot of emotion and a lot of thinking deeply about what could cause another fire,” Bob Lieb, a La Plata County commissioner at the time, said Thursday. The exact cause of the Missionary Ridge Fire has never been determined. Fire officials say that at 2:30 p.m. Sunday, June 9, 2002, a spark, the origin of which was never determined, fell on forest debris in a switchback on lower Missionary Ridge Road (County Road 253) north of Durango. The fire burned for 39 days, cost $40.8 million to fight, scorched 72,962 acres and destroyed 46 houses and cabins. The Missionary Ridge Fire ended up costing the D&SNG about $4.5 million that year through cancellations and expenses incurred during the closure, despite the railroad running shorter routes with a diesel engine out of Silverton. Owner Al Harper said the railroad and local officials were on the same page: The railroad had to suspend its service given the extreme danger of starting a fire concurrent to the one on Missionary Ridge. “We always want to do what’s right by the community,” Harper told The Durango Herald on Thursday. These past few days have almost felt like déjà vu. The D&SNG has been closed since the 416 Fire started June 1. The blaze, far from over, had consumed about 33,000 acres, mostly on the San Juan National Forest, as of Friday morning, and no structures had been destroyed. Officials expect the fire won’t be contained until the monsoon arrives sometime in July. Harper estimated that when all is said and done this year, the railroad could be out $6 million from cancellations and expenses. The train has furloughed 150 employees. “It’s been a serious strain,” Harper said. Since the outbreak of the 416 Fire, days of speculation, fueled by witness accounts, have blamed the coal-fired locomotive, known for sending out hot cinders that fall on the ground and start small burns, as the cause of the fire. 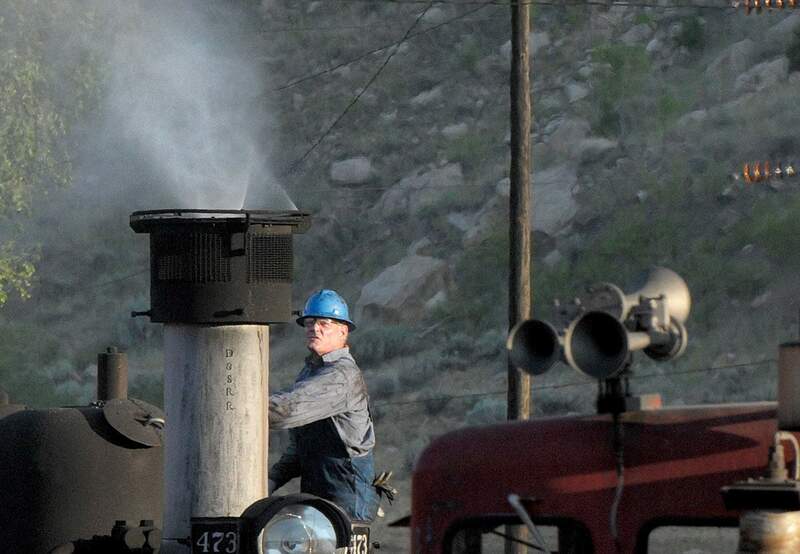 Spark arresters, which employ a screen and small water nozzles on the smokestacks of steam engines, reduce the chances of hot cinders escaping and starting fires on the Durango & Silverton Narrow Gauge Railroad. Owner Al Harper said this week if investigators determine the train was the cause of the 416 Fire, he will take full responsibility. Investigators for the U.S. Forest Service, however, have not yet released an official cause because it is still being investigated. Harper, for his part, is aware of the possibility the train may be at fault. Although he has heard of other possible causes, Harper said he and his family, who have owned the railroad since 1998, won’t shrink from responsibility. The railroad has preventive measures in place for forest fires. Pop cars follow each train about three to five minutes behind to look for fires, followed by a water tender that can put out flames. The railroad also leases a helicopter for $140,000 over the summer to monitor the tracks. Pop cars outfitted with a small water tank keep an eye out for fires along the Durango & Silverton Narrow Gauge Railroad tracks. The D&SNG has suspended service until at least the end of June. Owner Al Harper said neither coal- or diesel-powered engines will run until Stage 3 fire restrictions are lifted. Harper said the past two weeks have prompted the railroad to enter a sort of self-reflection. Whether the Durango train started the fire or not, the railroad wants to ensure it poses no greater fire danger to the area in drought years. The problem is, many options just aren’t feasible, Harper said. Solar power hasn’t been developed for trains, and federal rules say propane and natural gas-powered engines require a separation of five empty cars between passengers. The diesel engines the railroad does own, Harper said, aren’t made for the long haul from Durango to Silverton. And, it’s nearly impossible to find or purchase a diesel engine for a narrow-gauge railway, which has a track smaller than a standard-gauge track. The railroad is resolved to learn from the 416 Fire, Harper said. The company may look into converting a standard-gauge diesel engine to run on the narrow-gauge track. But that could cost up to $4 million per engine, Harper said. And, the railroad may clear brush and vegetation along its tracks with more frequency. In years past, the company has rotated areas it cleans on a three- to four-year basis. This topic, in particular, was an issue from residents of the neighborhood adjacent to where the fire was reported to have started. Harper said the railroad feels it followed the proper procedure in the days leading up to the fire, which started on the first day local and federal government agencies implemented Stage 2 fire restrictions. Because the railroad was created by land grants in the 1870s, it falls under the authority of the Surface Transportation Board and the Federal Railroad Administration. These agencies don’t have the authority to shut down the train because of fire danger but have some oversight of operations. Joanne Spina, La Plata County manager, said the county has authority under Colorado state law to ban open fires, including the use of coal-fired engines, if there is sufficient evidence of high fire danger. La Plata County enacted Stage 3 fire restrictions Tuesday. The railroad had already voluntarily suspended its service. Harper said the train won’t run coal or diesel engines until at least Stage 3 restrictions are lifted. The county can ban coal-fired engines only when there is a high fire risk, Spina said. Though it is unclear if the county has authority over the train, Harper said that it would never be an issue while his family owns the railroad. 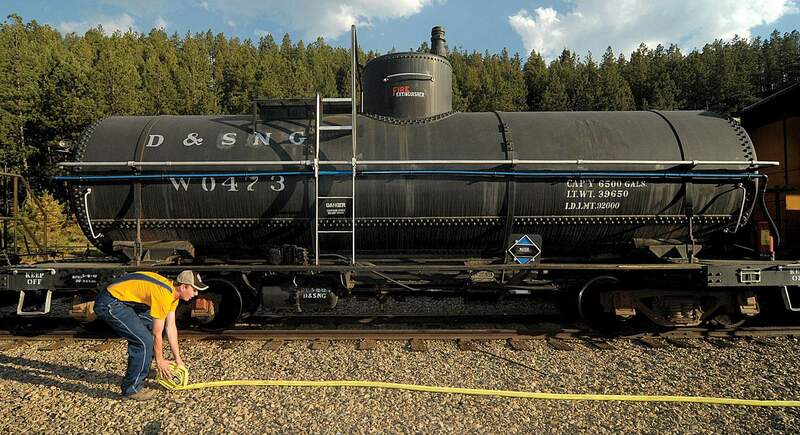 Because the D&SNG predates the establishment of the San Juan National Forest in 1905, the U.S. Forest Service has no regulatory authority over the train, Hooley said. Harper said he is aware of the conversation members in the community are having about the train. The conversation, much of which is highly critical of the train and its impact on the environment, has ignited an impassioned debate between balancing the dangers of coal-fired steam engines and the vital role the train plays in the local economy. 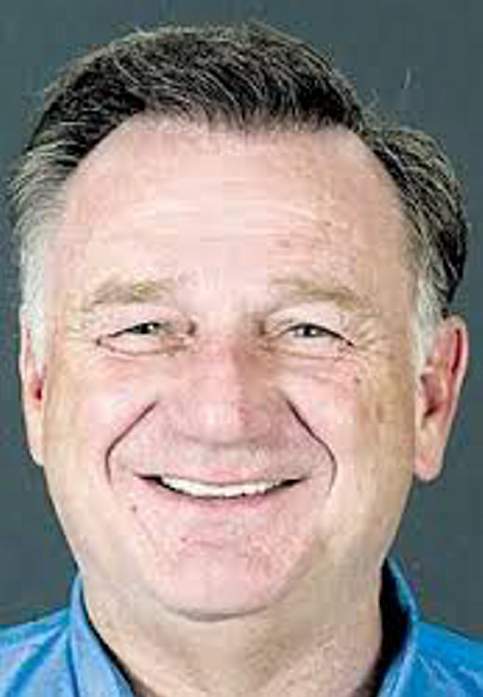 jromeo@durangoherald.comAn earlier version of this story misstated the name of the Surface Transportation Board.